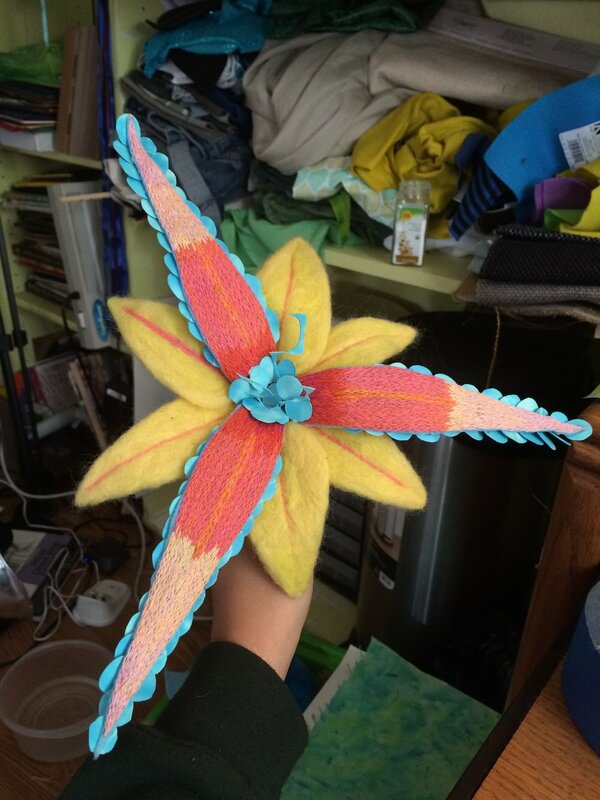 A flower made from wool felting, embroidery, watercolor paintings, and wire. A cecropia moth made by wool needle felting. 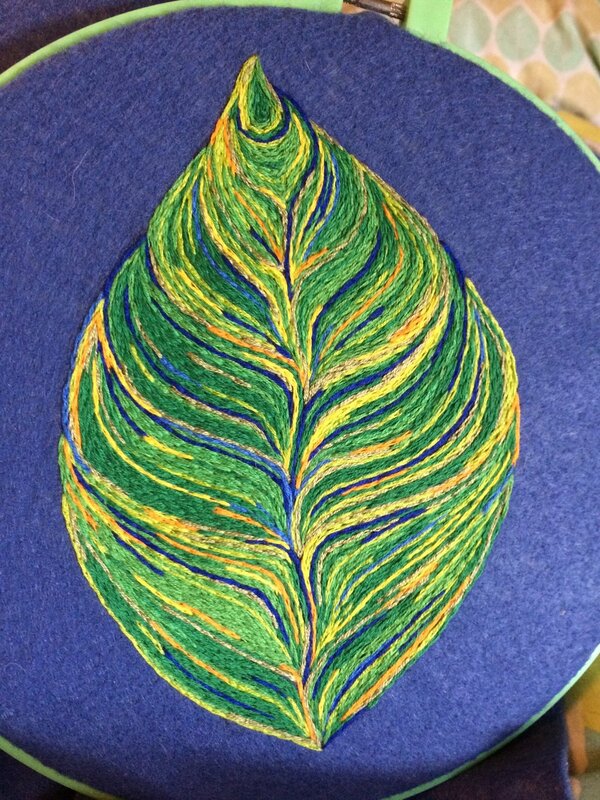 An embroidered leaf on felt. 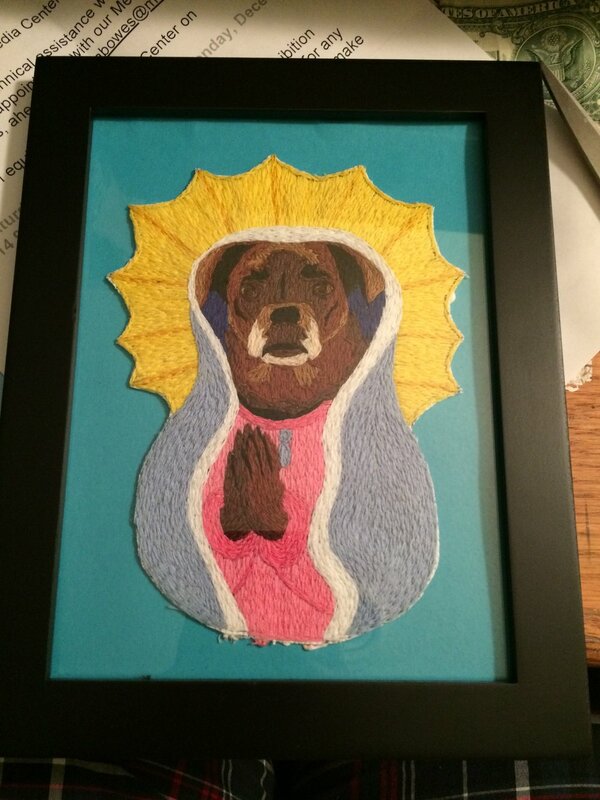 A commissioned portrait of someone's dog as Maria De Guadalupe. 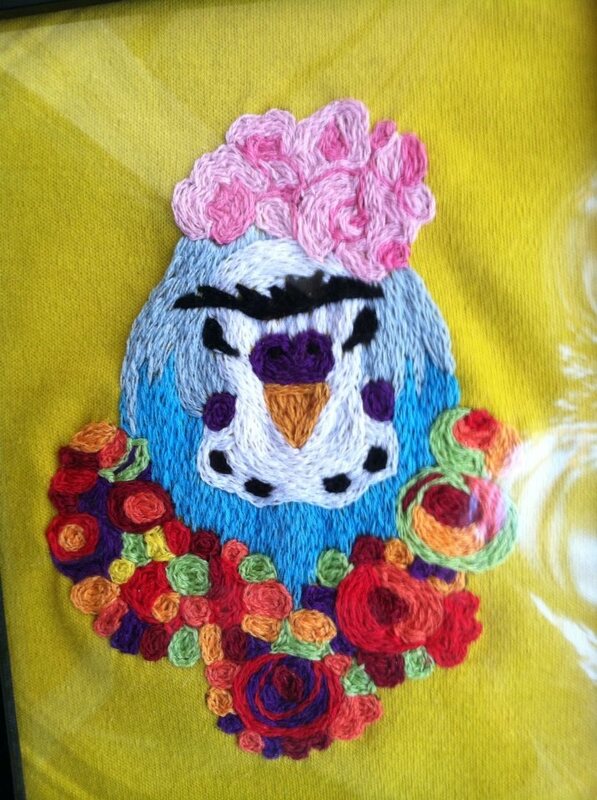 A commissioned portrait of a parakeet as Frida Kahlo. Commissioned embroidery of Gustav Klimt's "Portrait of Adele Bloch-Bauer". 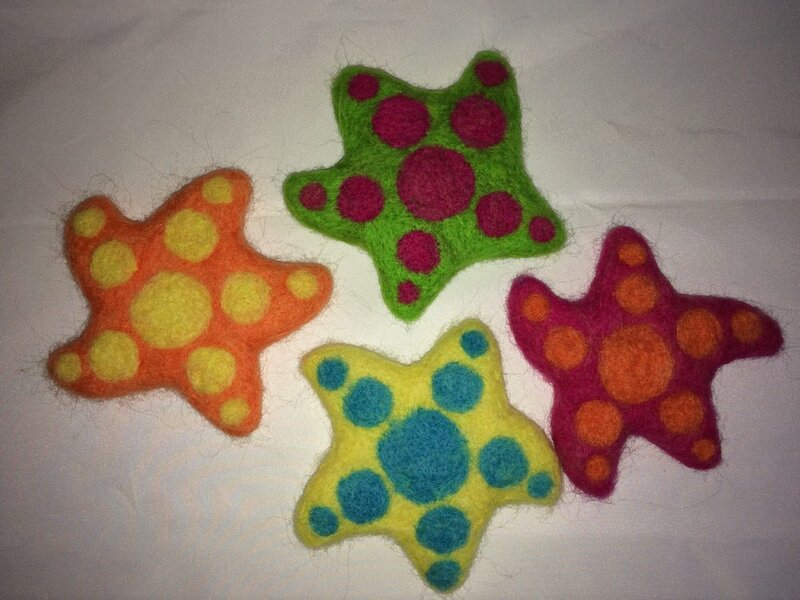 Crib Mobile made of needle-felted sea creatures: starfish and manatee.